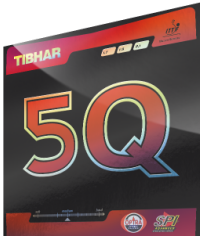 The softer version of the Q-rubber-family, 5Q, has a medium-hard sponge conferring lots of rotation to the Topspins and counter Topspins at mid-distance. 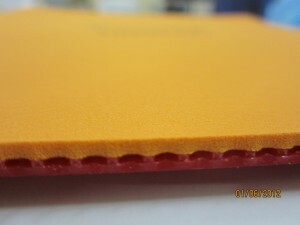 The rubber surface full of sensation, supported by the SPI-Advanced-Technology, confers a wonderful sound and a good handling. The newly conceived rubber surface allows lots of rotation and provides the necessary security when playing the large pallet of spins. 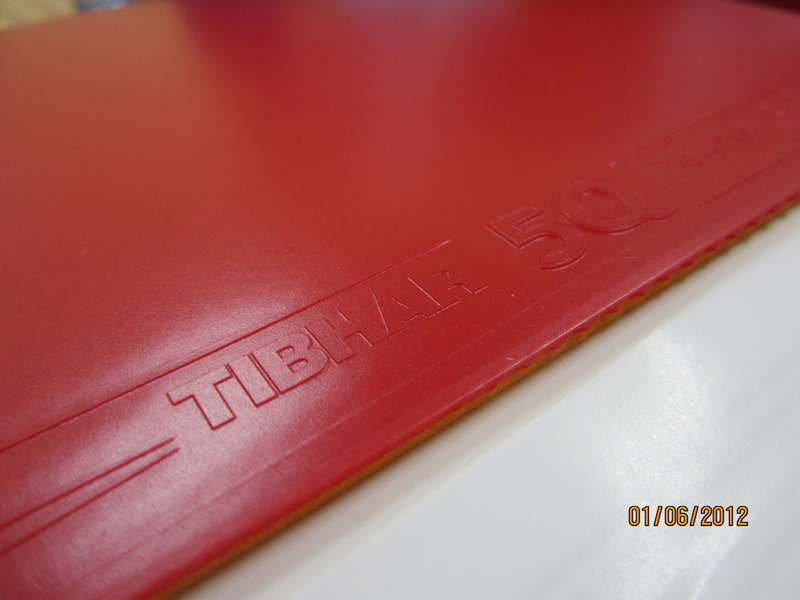 Happy to receive the tibhar 5Q from Tibhar Germany. I was excited about the 5Q since its supposedly spinnier than its 1Q brother. The rubber comes in a black and red shiny packaging is a $52 usd rubber that is in great quality. Hardness: the packaging says its medium but i would rate it as closer to being medium hard. its softer than its 1Q brother by 2-3 degrees approx. 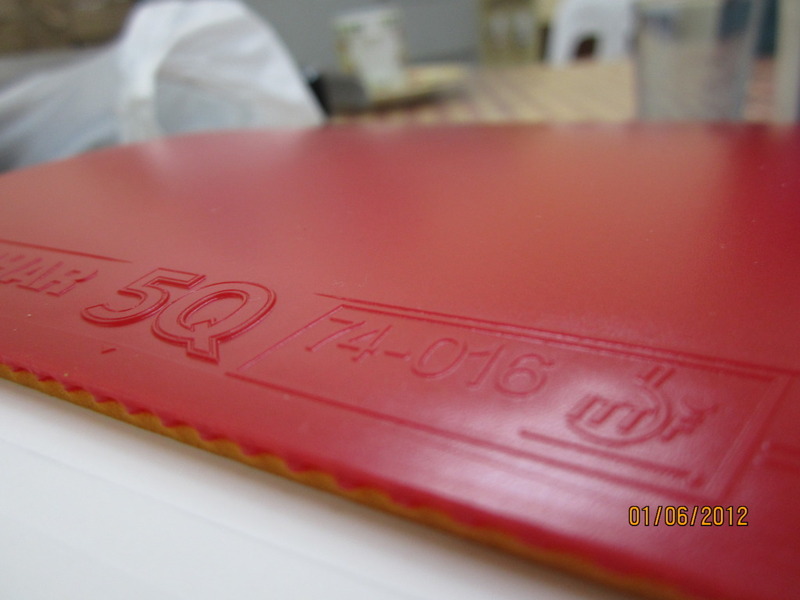 The red rubber looks different from 1Q because the 5Q has a deeper color in red unlike 1Q which has a lighter red color similar that of the S1 turbo and Joola Rhyzm. Speed – very fast. its in the same level of speed with the Rakza 7, Acuda S1 (not the turbo) and the Tibhar Aurus. on soft and hard drives the rubber is bouncy. Spin – on serving it is spinner than the 1Q. The rubber grips the ball better. Its not as bouncy as the 1Q so you can spin better with it. On pushing I would rate it as excellent as it gives a low spinny pushes. On loops this rubber is outstanding. The 1Q fell short for my liking because it was more of a counter topspin rubber or a hitting rubber. 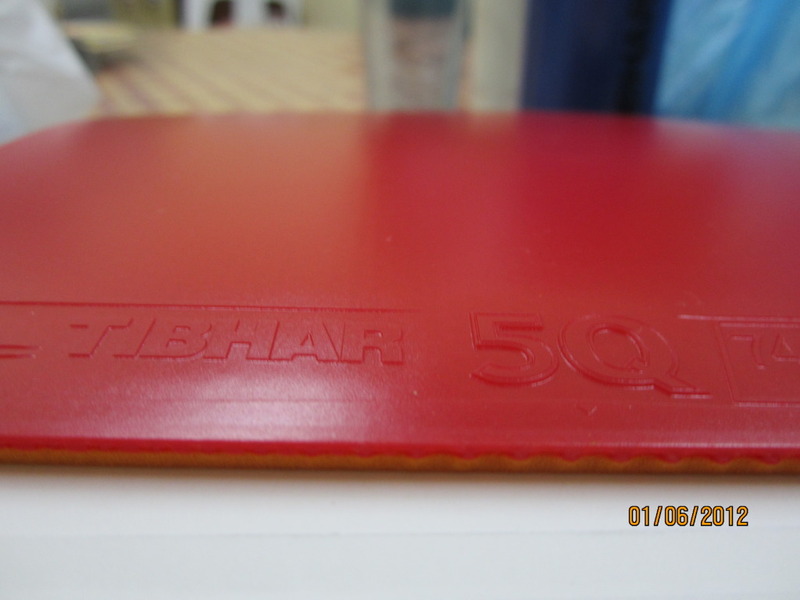 The 5Q has a more profound arc than the 1Q and the ball buries itself deeper into the sponge than other medium hard rubbers creating a more potential for spin. If other people have found rakza 7 easy to loop with then the 5q is much easier by a small margin. The 5Q is better at close to the table to mid distance looping only. On the backhand, being a major backhand player, the 5Q is excellent on bh looping. Control was easyand doing a late contact on the ball produces a high arc spinny ball. Counter topspin – not as fast as the 1Q is on countering but still offers a lot of speed with more spin. Blocking – blocking is average with this rubber but there are other better blocking rubbers. Smashing – as what I have said this is more of a looping rubber. it seems even with its hard sponge the rubber is average to above average in terms of smashing. also every time i smash with it, the ball sounds like a cracked ball being hit by the racket. 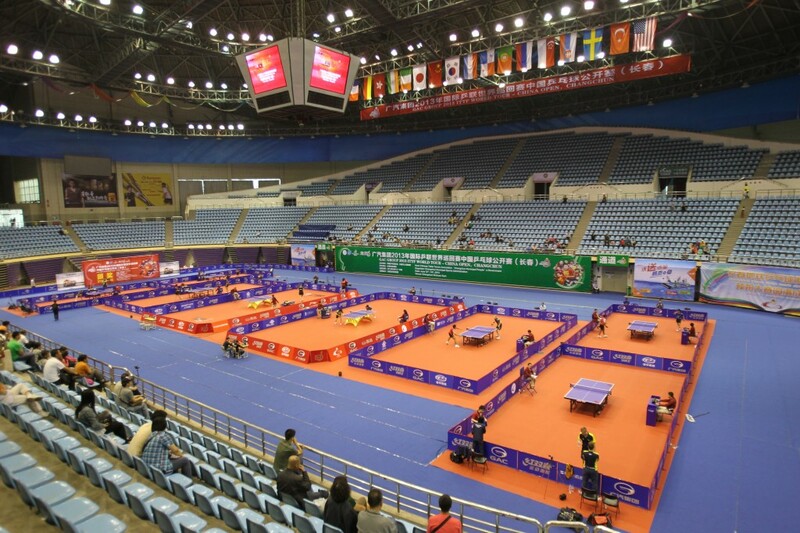 Distance – players who stay away from the table would need to swing harder. this is a close to the table to mid distance rubber. 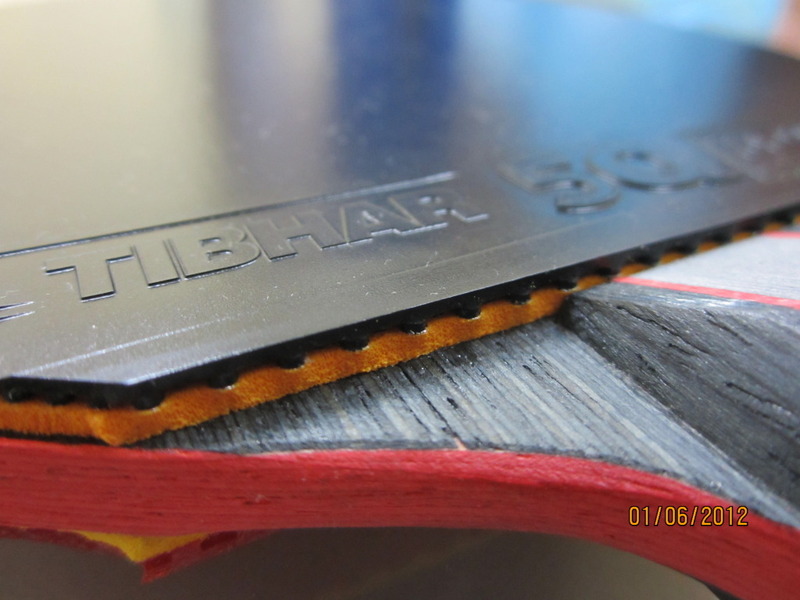 Found this rubber to be great for looping, loop drives, and smashes, but compared with Rakza, it was much more difficult to produce spinny serves.